We needed a tire inflator for both our Jeep and RV. After one of our RV tires ran flat without us knowing, we were eager to get something for those low pressure times. We also purchased a TPMS (Tire Pressure Monitoring System) which we’ll talk about in a later article. Anyway, we also needed a fairly fast inflator for our Jeep tires. When we go off-road, we usually deflate our tires from on-road pressure of 35 PSI to 20 PSI. However, when we come off-road, we want to spend as little time as possible re-inflating our Jeep tires. We’ve tried the under-$100 inflators that you can pick up at Home Depot, Lowes, etc, but our experience with these types was bad. They just didn’t have the “guts” necessary to inflate a 115 PSI RV tire. 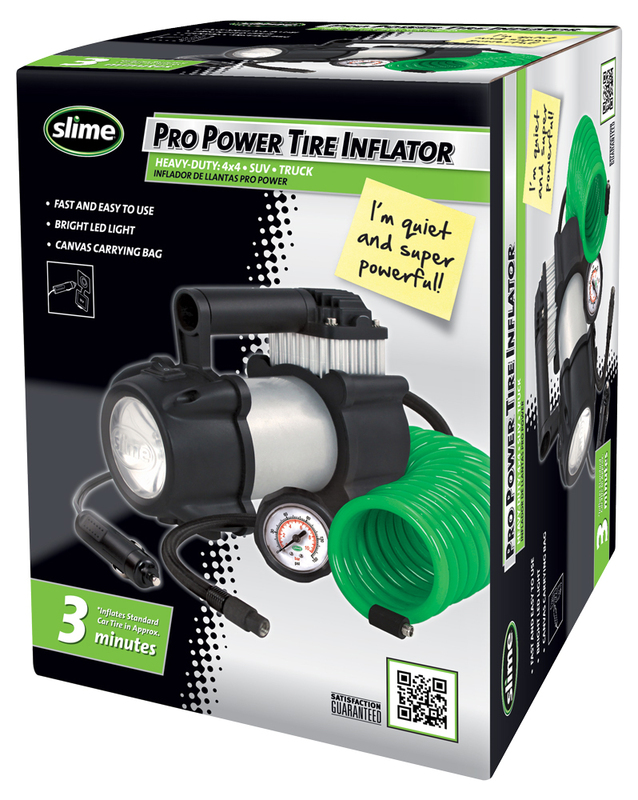 After reading several on-line reviews, we bought the Slime Pro Power Tire Inflator for about $80. It lasted about 10 minutes trying to inflate an RV tire. Then the Slime inflator literally fell apart — screws in the compressor become undone. The good thing was that we were able to return it for a full refund. After reading many reviews, this time we opted for the VIAIR 400P-RV Automatic Portable Compressor (about $250). Finally, we also recommend the TireMinder pressure gage (about $40) as it’s a fast and accurate way to measure RV and auto tire pressures. Tie in a quick-connect to your RV air system and then you can use that as a source of air for tires, etc…. That would work for my RV, but not my Jeep when I’m off road. See also the YouTube link in my blog post. Using an RV air system requires you to power up the RV. This may not always be desirable, especially early in the morning. Tom, you do such a good job of documenting your good ‘finds’ then sharing the news with others.. and… Explaining how stuff works. I think the vendors should be paying you for these very useful ‘infomercials’…YA!! I have one of these Viair 400P air compressor. I like the one you have. I have had my compressor for about maybe 10 years. I like the accessories that came with your compressor.